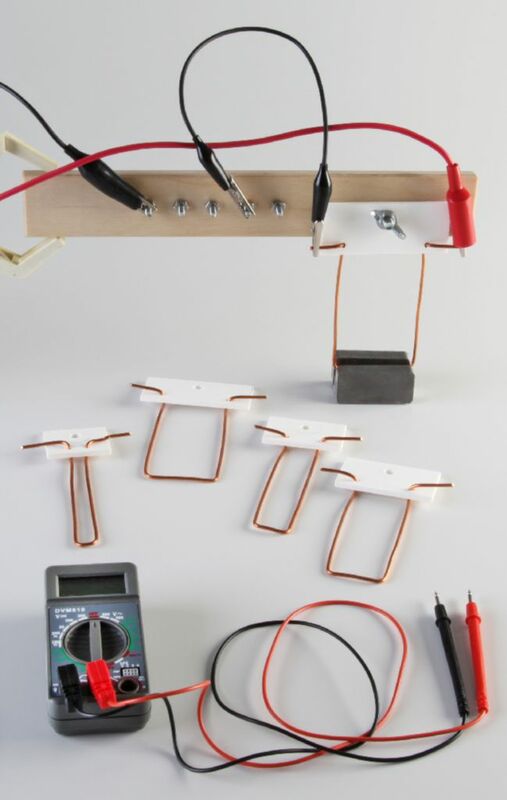 By studying the force exerted on a current carrying wire due to an external magnetic field, students will also predict and test the movement of the wire by using the "hand rules." By measuring the force exerted by a wire on a magnet sitting on a scale, students can determine the relationship between the force on the wire and the current. The kit includes a magnet channel, wire stirrups, resistors, battery holders, 5 U-shaped wires and a multimeter. Required but not included are a balance, and support stands.